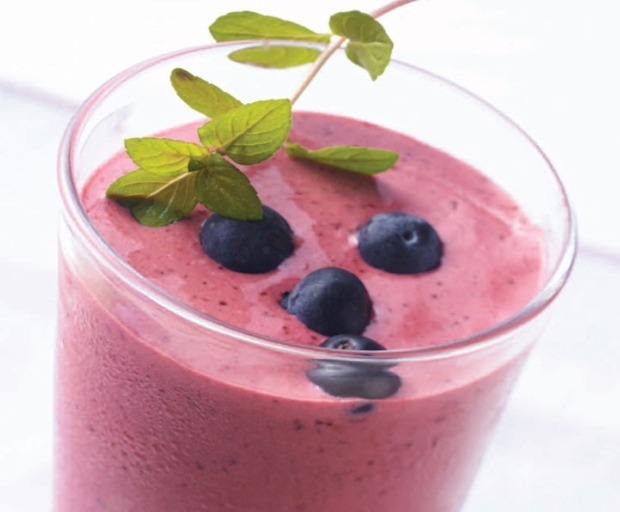 Use a cordless blender like the Braun Multiquick Cordless to zip through these healthy fruit smoothies. Place the frozen fruit cubes, frozen yoghurt ice-cream and milk in the Braun Multiquick Cordless hand held mixing cup and puree until smooth. Pour the fruit into tall glasses and add a straw. Place the blended fruit in an ice tray and freeze to use later.